39 wooded acres. It has not been maintained FOR MANY years and is currently over grown. This property offers many possibilities. It has lots of road frontage on Z McDaniel Road (approx. 620' of road frontage by approx. 2852' deep). PROPERTY WAS CUT IN OR ABOUT 1987. PROPERTY HAS PINES AND LOTS OF HARDWOOD. 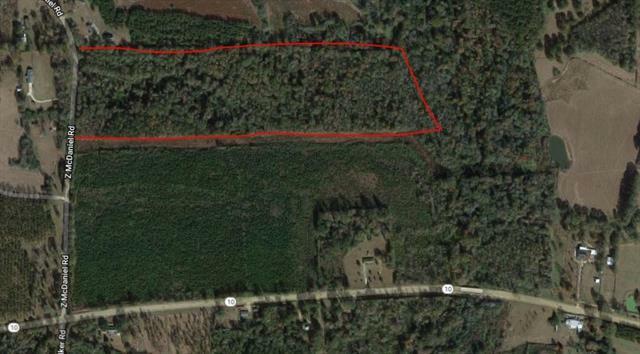 THIS PROPERTY would make a beautiful home site along with good hunting property.